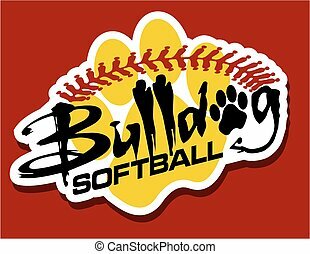 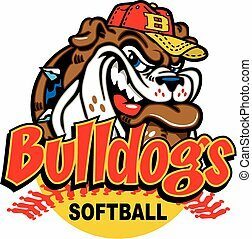 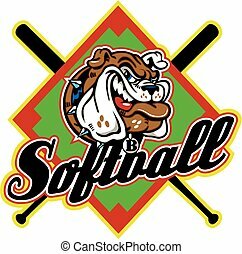 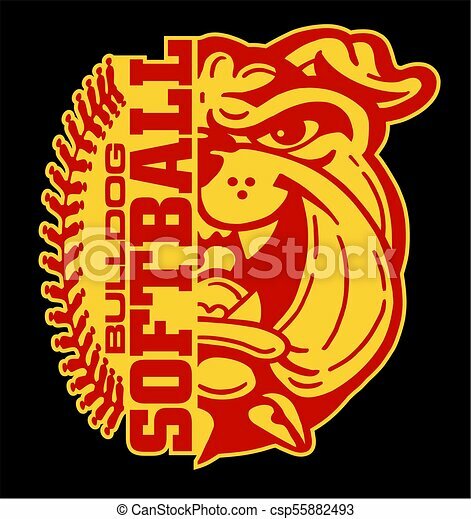 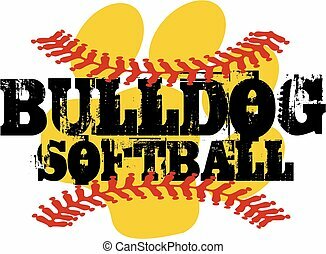 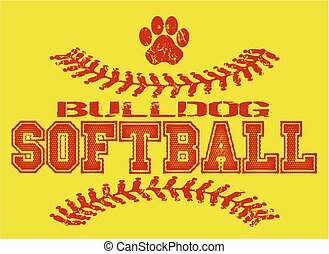 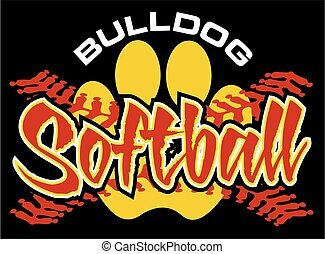 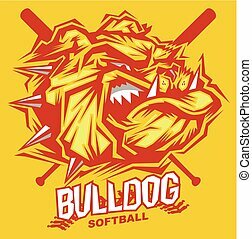 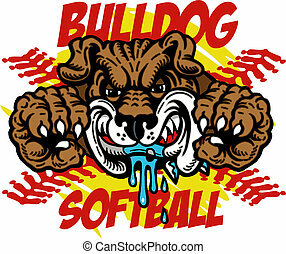 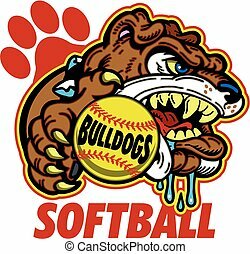 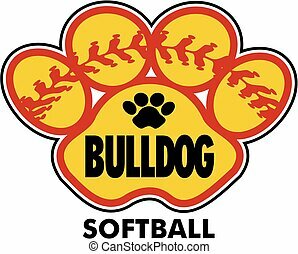 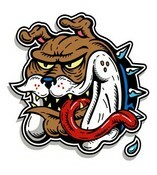 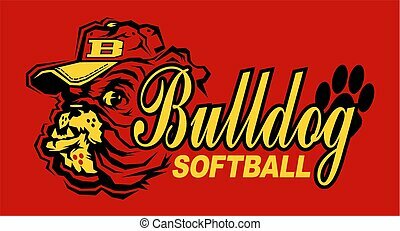 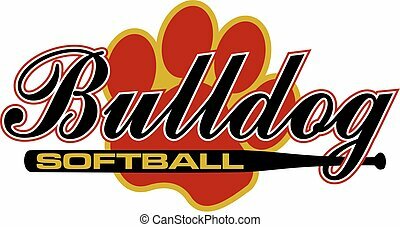 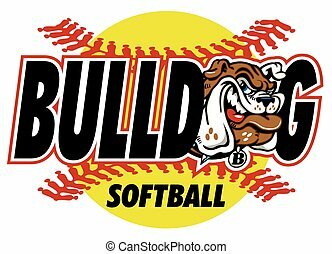 Bulldog softball team design with stitches and half mascot for school, college or league. 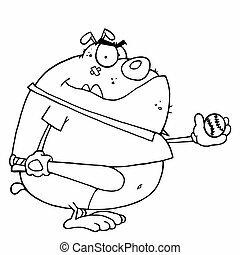 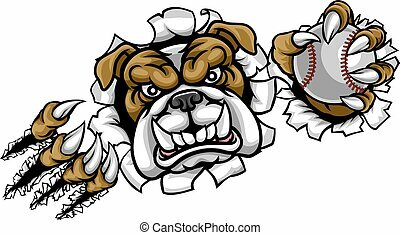 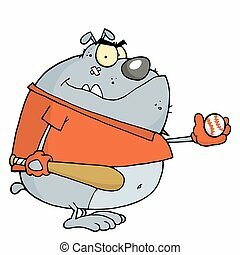 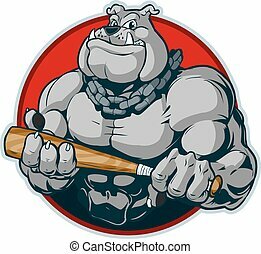 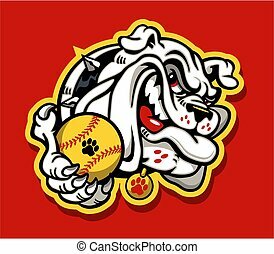 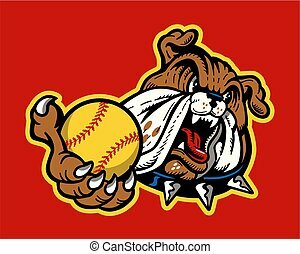 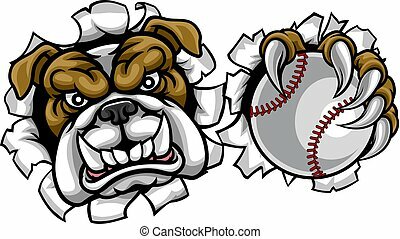 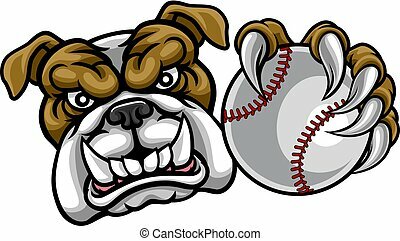 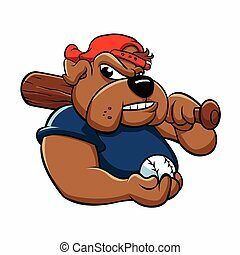 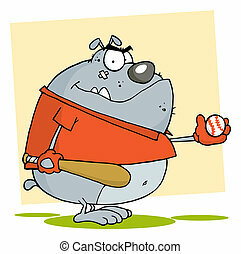 Vector cartoon clip art illustration of a tough mean muscular bulldog mascot with a chain around its neck holding a bat menacingly. 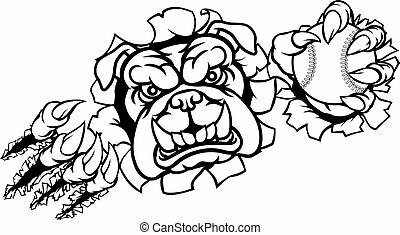 designed as a bust inside a circle.